Fall is just around the corner, and I am so grateful for some cooler weather!! Fall is also a great time to get back into organizing and work on a few areas that we tend to overlook. We will identify 4 items and provide a brief tip about how to declutter each particular item by sorting, evaluating, and flinging. You can do all the tasks at one time or you can spread them out and do one each week. This month we are looking at digital clutter. This clutter seems to accumulate while you aren’t even looking, causing stress and decreasing your productivity. Digital files wallpaper your desktop, voicemails get buried pages down your screen, your mobile apps are unused or forgotten, and photos disappear in the overwhelming stored mass. The desktop is a great place to store documents and folders temporarily or to store items that are used frequently. However, as the files accumulate, you still end up searching for them. The visual clutter they create can be distracting and disturbing. 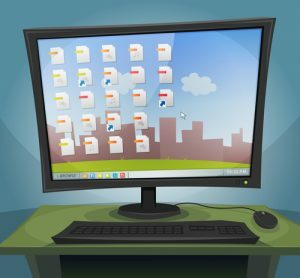 Sift through the files and documents on your desktop, deleting duplicates and moving those “temporarily” stored ones into your permanent files. Group the current documents that need to be easily accessible into categories and create desktop folders to hold them. Seeing your fun summer vacation desktop wallpaper again will be refreshing, and you’ll locate your needed documents without all the searching. 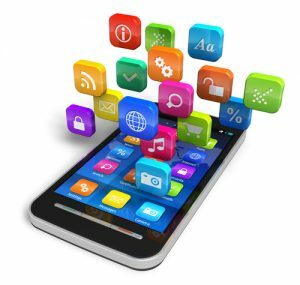 In 2017, an estimated 197 billion apps were downloaded . How many of those apps are on your phone or tablet? When was the last time you used them? 63% of app users stop using an app within the first 30 days after downloading it, and these unused apps clutter our devices. Apps are designed to make things faster and easier, but when you have to take time to search for them, it decreases their benefits. Begin going page by page and asking yourself: Do I use this app? Does it work well for me (not just for the person that recommended it)? Am I just keeping it because I paid money for it? Do I have several apps that do the same thing? When was the last time I used this app? Begin “flinging” those old, outdated, or unused apps. Then take a few minutes and arrange the remaining apps into an order or grouping that makes sense to you. Most devices even allow you to place apps in files for organization. Take advantage of this! Having your apps manageable, organized and ready to go will mean better usability and faster results. Now that’s what they were designed for. Voice messages are short-lived in our minds; we quickly listen, act, and then forget. The same is not true on our devices. Unless you are proactive in deleting them, voicemails continue to accumulate. There might be a few that you want to listen to at another time, respond to when it’s more convenient or just want to save the information shared in the voicemail. 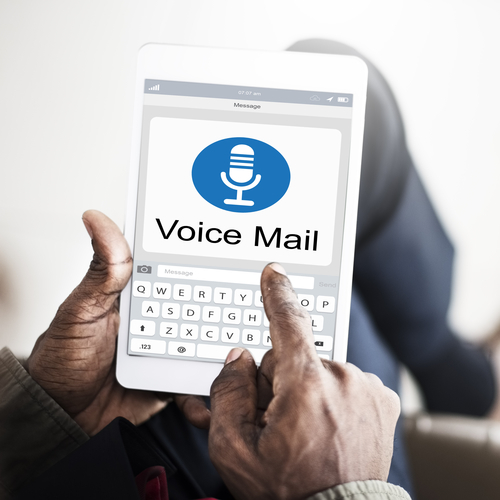 However, the majority of stored voicemails are old and irrelevant to our current lives, and they can obscure the few messages that might be important. The next time you find yourself waiting for something, pull out your phone and scroll through your messages. Listen to each one to see if you need to respond or save it. Begin deleting the ones that you no longer need. If a message contains important information, record the information in another way or email the voicemail to yourself, save it as a file on your computer, and then delete it from your phone. Take a few minutes and delete those accumulated messages so you can be ready for the incoming ones. 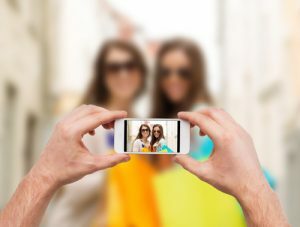 An estimated 1.2 trillion pictures were taken in 2017 with a grand total of over 4.7 trillion photos digitally stored. We all snap hundreds of photos a year but rarely take time to go back through and get rid of those “misfit” ones. Scroll through your pictures looking for duplicates, comparing and keeping only the best one. “Fling” the shots that are blurry, accidental or that you can’t identify. This can be done during a specific time you’ve set aside or just when you find yourself with an extra minute or two. It may take several passes through your collection to get them to a manageable amount. Use digital albums or folders to group and categorize your pictures. You can also use the “Favorites” feature to mark your most important photos. Having your photos culled and organized will enable you to easily locate and share your summer vacation photos, that amazing sunset picture, or whatever your favorite shots may be. These are 4 easy tasks that can make a big difference in your digital world. You can choose to do all 4 tasks at once or one each week. The most important thing is to get your fall fling started.